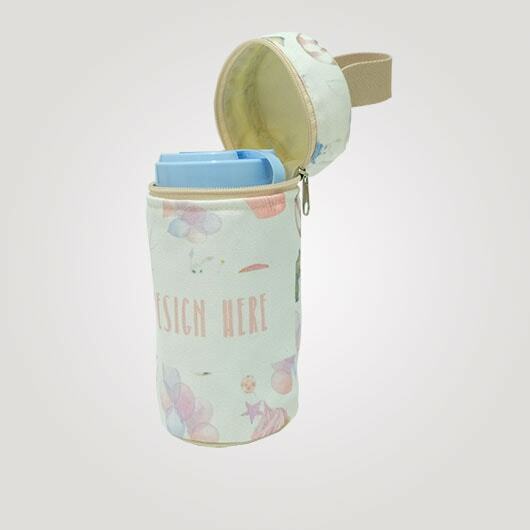 Baby bottle bag is a bag for carrying our little one's beverage bottle. With the presence of this bag, not only ease to be carried for playing, also it is organized in the big bag will be much tidy. 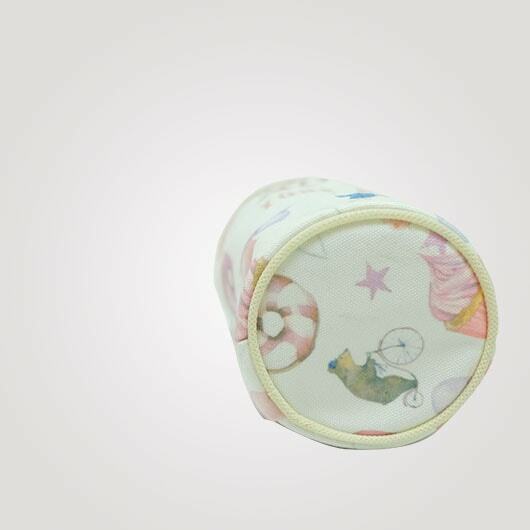 And with this cover, the bottle position will be more static so it will not easy to fall down or leaked. 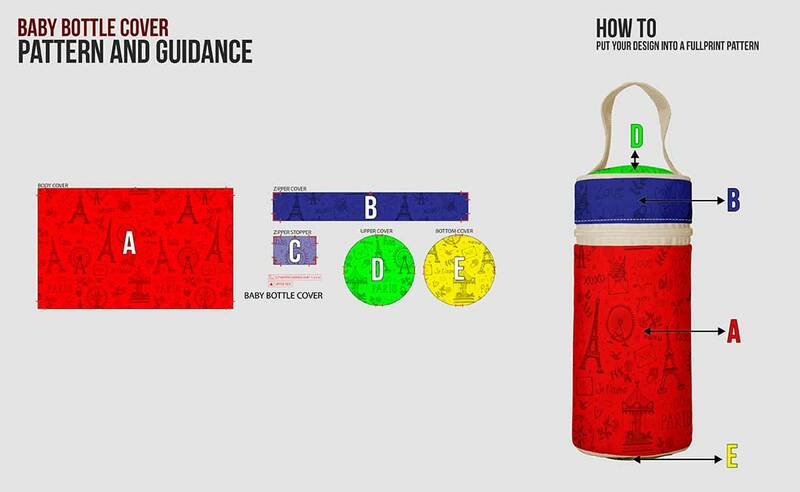 The shape and the size designed to align with the common bottle available in the market, with diameter 8 cm and height 19 cm. 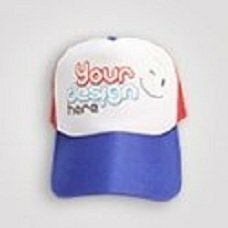 Made of poly canvas, thick canvas fabric which is strong with doff color printing that rises elegant vibe. This fabric is easy to be cleaned. 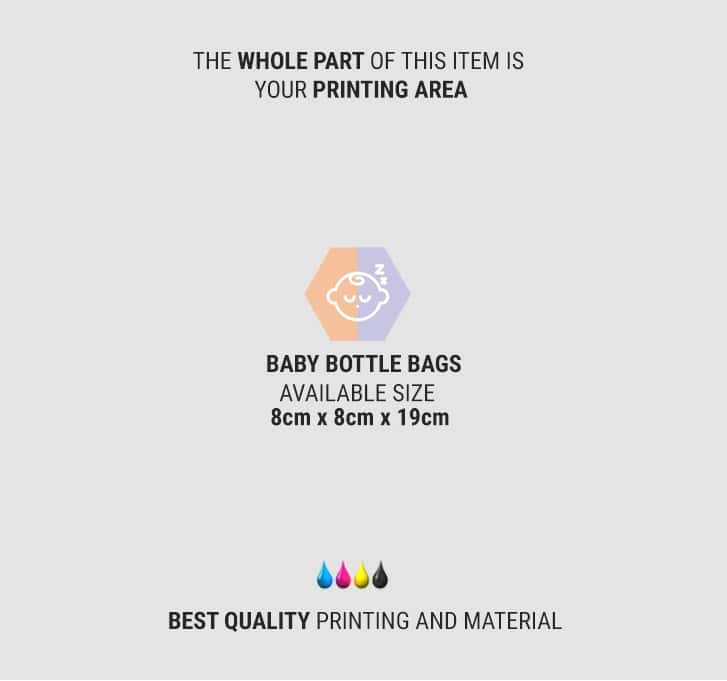 The ink we use has got Oeko-Tex Standard 100 certificate which means it is safe for skin and children. 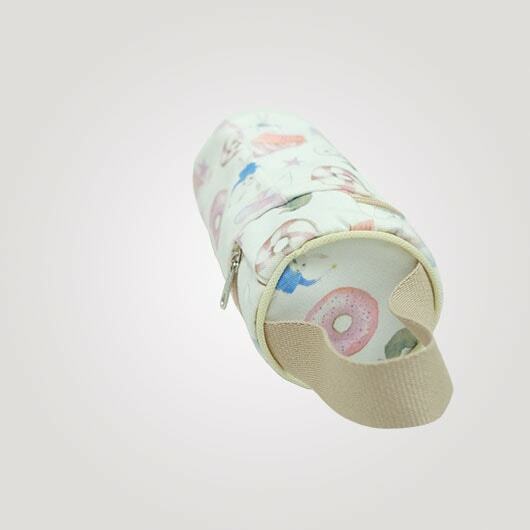 In custom, you can make the creation of the baby bottle bag design freely. 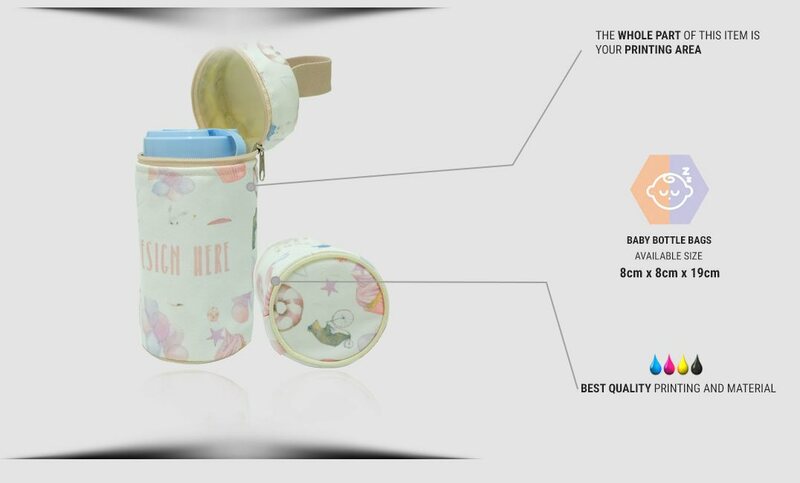 You are privileged to use any pictures your kids like or if you are going to use it as a gift, it can be created personally by adding the baby name or date of birth, etc.